The Kelley kids took the past year off from all extra curricular activities. We all just needed a break and zero commitment after Everett died. We needed zero strings attached and we needed not to have to be anywhere at a certain time. Grief keeps you feeling crazy and the last thing we needed was to try and run ourselves ragged with kid activities, so we took a break. 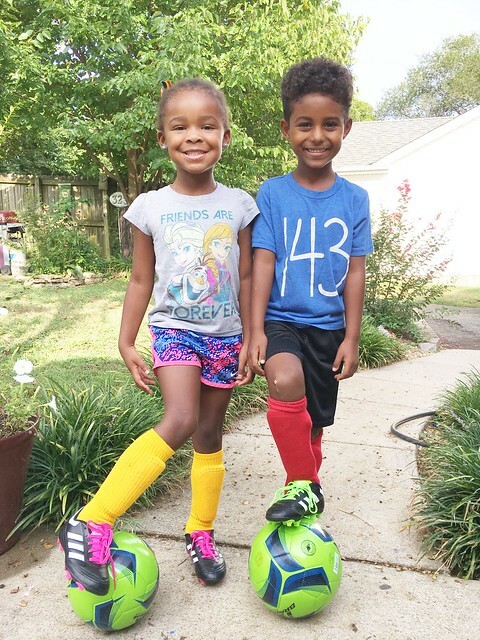 When we started talking about maybe doing sports or something again, Winter mentioned wanting to play soccer and soon everyone wanted to play soccer. 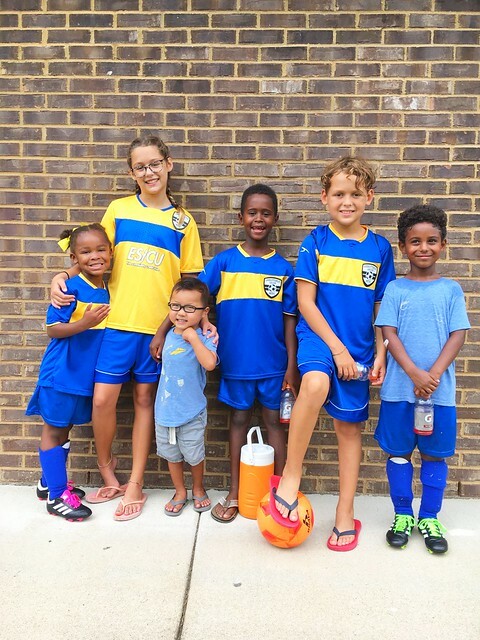 There were a few boys on the fence about soccer or baseball or flag football, but in the end soccer won out. In my head this was amazing. Never ever ever has everyone wanted to participate in the same activity and I thought this would make life smooth and easy. Ummmmm, well, nope. We didn’t really think how this would mean 5 kids on 4 different teams which meant 4 different practice times 2 times a week and 4 different games every Saturday. We pretty much live at the park, but also quickly learned we would choose to skip practice when it becomes too much. 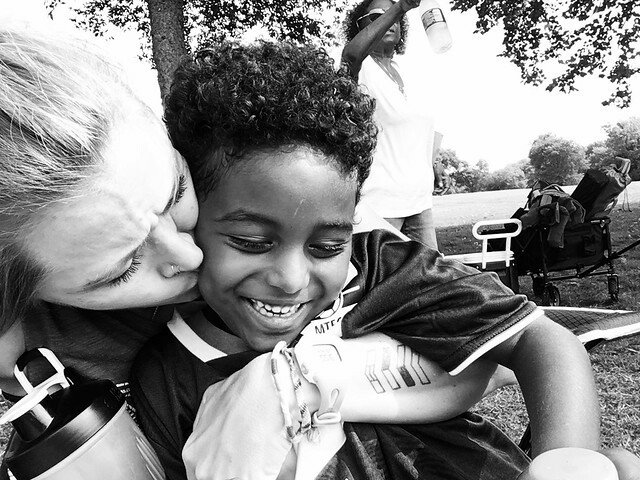 We remind everyone this is supposed to be fun…kids soccer is not our life. Like everything for us, it took a trial run to figure out what we were doing right and wrong in surviving so many Saturday games and week day practices. This past Saturday ran much smoother now that we’ve got a better handle on things. 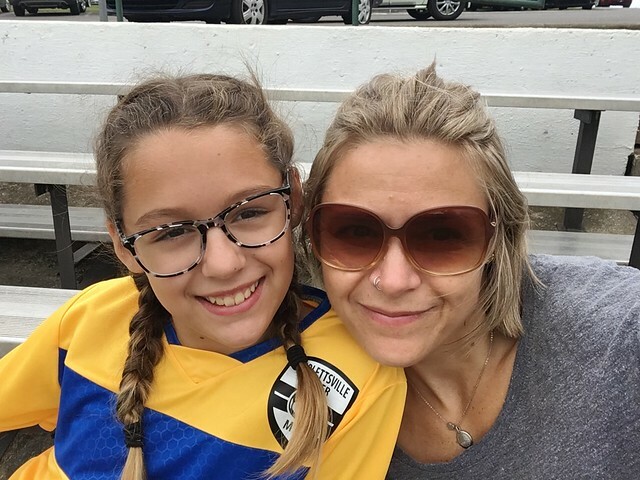 Our kids also totally feed off our moods and the first Saturday of games Josh Kelley and I were fried and annoyed and done! Perfect example: For Winter’s first game, she literally would not play. The coach would send her in and she would seriously walk right back off the field. Then if she actually stayed on the field she would just stand there. We all sat in the hot heat watching her do absolutely nothing and pretty confident you could see literal steam coming from my head due to my intense anger. 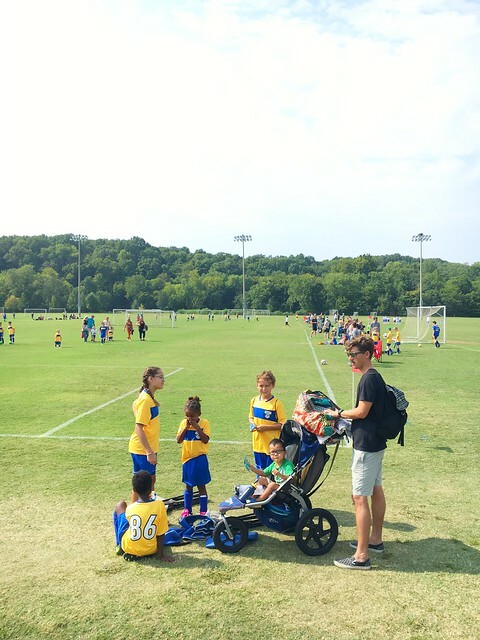 Josh and I had a big talk after our first insane Saturday of soccer games, made some changes to our game plan and the past two Saturdays everyone was in much better moods…including Josh and myself. For Winter’s game she was a beast on the field. 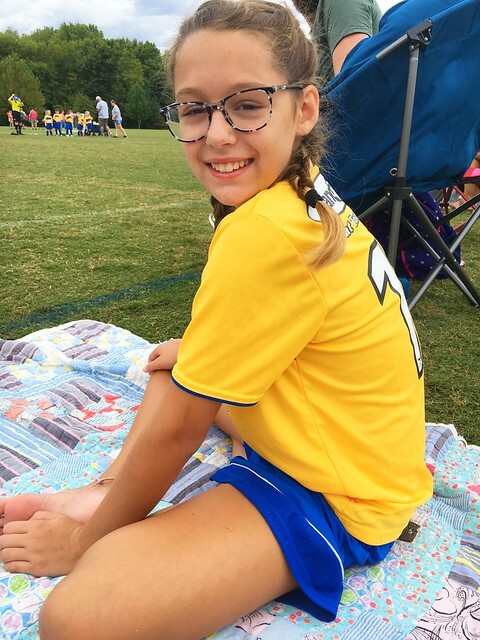 She scored 3 goals…one a breakaway where she dribbled the ball down the length of the field and scored in the other team’s goal all while the whole crowd was yelling “wrong way” “other way Winter” “turn it around” 🙂 but we counted it because you should have seen her sweet face. She made a complete 180 and I really think it’s because she could feel that the rest of us were less stressed this time around. Everyone is enjoying playing and we’re enjoying watching them. It’s fun seeing them have fun playing a game they really love. It’s also great seeing their pride in themselves despite winning or losing. As we walked away from Winter’s game I asked her if she had fun and she said she did. And then she said, “I feel really proud of myself too.” And I loved that. I want them all to enjoy things like this and feel proud of themselves for working hard at something.